There was a popular saying during the last 30 years of the century from which I am writing you. Here’s how it went: “If we can land a man on the moon, why can’t we ________?” Then we would fill in the blank space with something else that society should have already accomplished. Perhaps these things seem quaint to you. Perhaps pollution has ceased, diseases have been eradicated, and society has eliminated all forms of prejudice and bigotry. Perhaps you are exploring new worlds with technology that we would not even comprehend. We hope so. These were some of the things we dreamed for you. That has been a popular preoccupation of the century in which I live: our dreams for the future. We are not unanimous about them. Many times our behavior makes it seem we care only about the present. But the dreams of some have changed history. You stand on their shoulders. Do me a favor. Please read, or better yet please watch, the “I Have a Dream” speech delivered by Reverend Martin Luther King, Jr. on August 28, 1963. It is the most famous speech of the 20th century. Reverend King’s words and example gave courage to a generation of activists, including myself, who believed, as he did, that the individual destinies of people on earth are also a shared destiny. The struggle in which we are engaged for a clean and healthy environment is one proof of this cherished principle. As I write this, it occurs to me that instead of that saying beginning with, “If we can land a man on the moon,” it should begin, “If we can dream a man on the moon.” Whether it be crossing the divide of space or crossing the divide of prejudice, often the most difficult part of the journey is daring to imagine its first step. So, dream. I won’t pretend to know or predict what your dreams should be. I am certain there are things you would like to change. Have the courage to dream how they can be different. Dare to turn your dreams into action. Please do me one more favor. Find my great, great, grandchildren and tell them that their long gone ancestors — my wife Connie, our son John Donald, our daughter Sasha, and I — send our love, hopes, and dreams across the vast breach of these generations. I wish you a life that does honor to your children’s children. If the bridge you build to their lives is constructed of dreams for a better world for them, as well as yourself, they will be a very happy generation indeed. 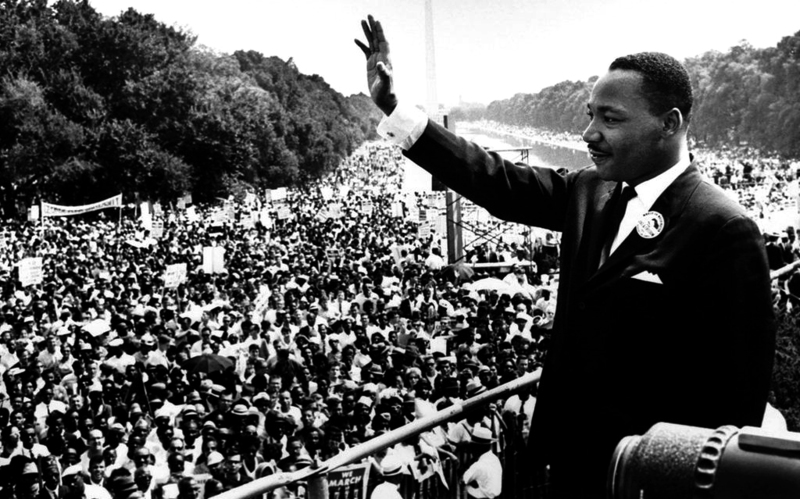 Reverend King, the Inescapable Network of Mutuality and the Foundering of American Environmentalism. Read . . .
Bending Toward Justice. Read . . . The Ecology of Justice and the Death of the Defense of Marriage Act. Read . . .